The first open viewings commenced at the weekend and viewings around Galway city were particularly busy with high numbers of buyers looking for a new home or gilt edge investment. Some of the many Galway properties for auction will include some of the best properties to be offered in recent times, located in the popular areas of Salthill, Taylor's Hill, Newcastle, Rahoon, Knocknacarra, Loughrea, Athenry, Furbo, Shantalla, and Ballymoneen, with a selection of sites and houses on offer. No 19 Devon Park has been presented to impeccable standards by the current owner. The property offers beautiful decor, light filled rooms, and high ceilings traditional of a property of its era. Wonderful three bed terraced house located in a mature cul-de-sac. This property has been recently refurbished and modernised to the highest standard and is a must see. Devon Park is in a quiet residential location serviced by transport links and an abundance of local amenities, and is only a short stroll to Salthill village, Galway's West End and Latin Quarter, offering some of the region’s most popular restaurants. Located in a much sought after and well established residential area, No 46 is a superb family home with an equally superb large south/west facing rear garden. With four bedrooms, very generous living accommodation on the ground floor, and extension if required, No 46 Oaklands would be an ideal purchase for anybody looking to create the perfect family home in the perfect residential setting. No 1 Rosedale is a lovely residential property in one of Galway's premier addresses, in a stunning and exclusive estate just off of Taylor's Hill. The property offers an abundance of living space throughout and is presented in excellent condition. Externally, No 1 Rosedale avails of ample off-street parking to the front, while the gardens enjoy privacy and are superbly manicured with an array of mature trees and shrubbery. A wonderful five bed semidetached residence. The property is ideally located in a popular and sought after residential area of Salthill. No 46 Whitestrand Park is a large semidetached house in the popular residential location conveniently situated close to both Galway city centre and Salthill. The property, which is currently a residential investment, would provide an exceptional rental income for future investors. With modernisation and refurbishment the property would be an excellent family home. No 46 Whitestrand Park would also be a gilt-edged residential investment. Lovely three bed semidetached family residence with a spacious attic located in one of Galway's finest residential locations. Situated in a quiet, traffic-free cul-de-sac, just off of Salthill Road Lower, No 6A Devon Park is presented in excellent condition throughout with a tasteful contemporary design having been refurbished by the current owner. This is a magnificent opportunity to acquire a spacious semidetached home in one of the most popular residential areas of Galway. No 20 Grattan Park offers an abundance of space throughout both floors, and also benefits from an attic conversion ideal for comfortable storage. Externally, the property avails of ample off-street parking to the front in a family-friendly cul-de-sac, while the rear of the property enjoys favourable southerly aspects. Grattan Park is a well-established residential estate in Salthill. Long considered one of the most sought after areas to live in the city, Salthill continues to grow in popularity with a variety of amenities and landmarks on offer. Grattan Park is advantageously located directly across from Salthill Promenade and beaches, while within walking distance of Salthill, Blackrock diving tower, and Galway Golf Club. AMV: €575,000. Open viewings Wednesday and Saturday 2pm to 3pm. Exceptional four bed detached home in one of Galway's most popular residential locations. Beach Court is advantageously located directly across from Salthill Promenade and beaches, while within walking distance of Salthill village, Blackrock diving tower, and Galway Golf Club. With the addition of all that Salthill has to offer, including popular restaurants and bars, Beach Court also has the distinct benefit of being close to Galway city centre, with the vibrant Latin Quarter and West End only a short stroll away. Located in a well-manicured cul-de-sac, No 17 Beach Court offers approximately 140.74sq m of generous living space over two storeys. Four/five bedroom detached family home located in one of Galway’s most sought after areas. 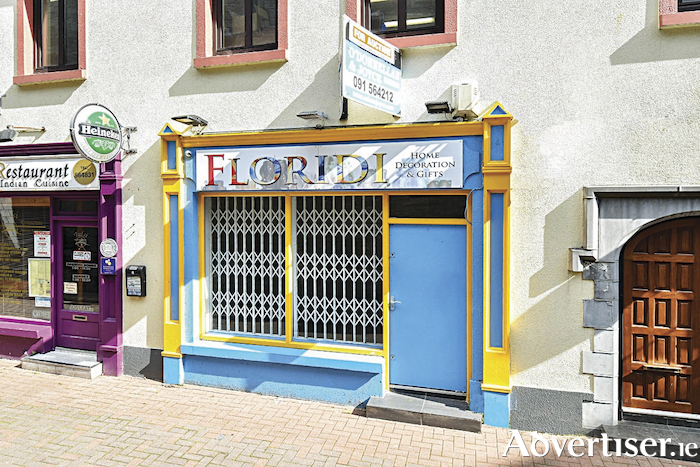 This property would also be an ideal gilt edge investment as it is located within a stone's throw of NUIG and UHG. No 16 Tudor Lawn is first class with all amenities nearby including Dangan Sports Ground, Bushypark National School, Westwood House Hotel, and IDA Business Park. No 18 Grangemore is a modern four bed detached property in a traffic free cul de sac just off Rahoon Road. A splendid family home this property would also make a wonderful investment property as it is located a short distance from NUIG and is on all major transport links to Galway city centre. Breathtaking three bedroom home in an excellent condition. Barr na gCurrach is a small development of bungalows located on the sea-side of Furbo village. The development enjoys fabulous views of Galway Bay and the Clare hills and is close to all amenities in the village. Furbo Beach is a short walk away as are the shops, the church, bar, and restaurants. Five bedroom detached family home in an excellent location a short distance from Galway city centre. The property is excellently located within a stone’s throw of NUIG & UCHG and is considered one of the most sought after and convenient addresses in Galway city. Ideally positioned on excellent road, bus and transport networks systems bringing all of Galway's amenities and services to its doorsteps within moments. This is an opportunity to acquire a private pier to moor your yacht. Extending to 0.11 hectare (0.27 acre ) approximately and located on the edge of Galway city, the pier is very easily accessed as it is just 250m off the Coast Road to Oranmore (R338 ). Galway city is less than 7km away and Oranmore train station is less than five minutes' drive away. Perfectly located just six minutes from the Galway to Dublin motorway (M6 ).